Thanks to our Italian and Chilean partners, we can guarantee the supply of fresh fruit throughout the year. The synergy between Northern and Southern Hemisphere production, with its reversed seasons, enables us to extend market availability, and, as in the case of pears and kiwi fruits, guarantee it for 12 months a year. 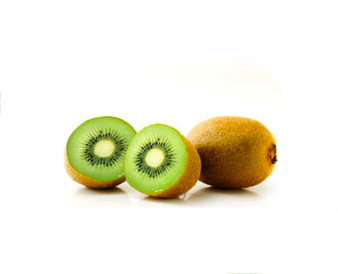 The Sweeki kiwi is the sweetest on the market and has many beneficial properties: it is rich in vitamin C and fibers, it is anti-cholesterol and a source of potassium, magnesium and vitamin E. Furthermore, it is low in calories and therefore suitable for diets. To offer our consumers the best tasting as well as wellbeing experience, Sweeki adopts a Quality System that guarantees the perfect balance of sweetness (Brix degree), acidity and dry matter. The synergy between North and South Hemispheres production ensures Sweeki is available twelve months a year. Sweet and juicy, Pera Italia pears are a rich source of wellbeing: full of minerals, fibers and vitamins. Notwithstanding their sweet flavor, they are low in calories and therefore ideal when dieting and as healthy snacks. Pera Italia pears are harvested when they reach the required degree of ripeness, thanks to the constant monitoring of quality indicators such as sugar content, flesh texture and skin appearance. 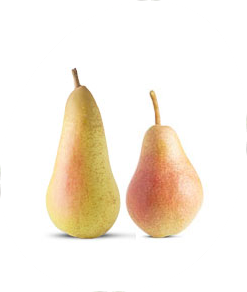 Pera Italia pears are available in 9 varieties, which differ in seasonal availability, flavor, color, texture and aroma:Abate, Carmen, Conference, Coscia, Decana, Kaiser , Santa Maria, Bartlett, Red Bartlett. 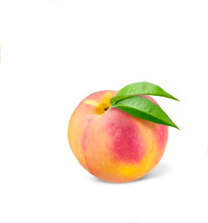 Peach fruits are very good for your health because they are rich in vitamin A, C, beta carotene (a pigment that protects the skin and improves hydration) and have antioxidant properties which strengthen our immune system and prevent diseases. Our peaches are harvested when they reach reaching a sweetness close to 10° Brix. Size, as well as color and texture changes depending on variety. 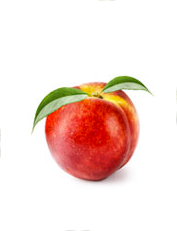 Nectarines have a low level of sodium, so they are good allies against hypertension or an excess of cholesterol. They are rich in vitamin A, C, and potassium, which gives them properties to neutralize free radicals. The vitamin C helps the body to absorb iron more effectively and maintain the immune system in good working order. Sugar content, skin color and flesh texture are good indicators of ripeness. 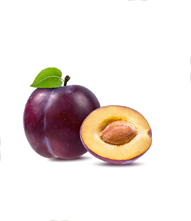 Plums have laxative, antianemic and antioxidant properties due to their high fiber content, as well as iron and vitamins A, C and E. They are also diuretic, stimulating for the nervous system and decongestant for the liver. They are also ideal for revitalizing the system in case of excessive heat due to their high content in potassium and magnesium. Sugar content, skin color and flesh texture are good indicators of ripeness. 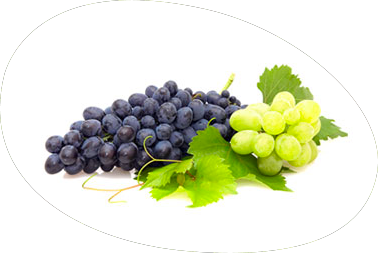 The vine fruit (Vitis vinifera), is rich in flavonoids and resveratrol which is good for the heart because it fights excessive cholesterol and helps maintain blood fluidity. It has also antibacterial and antioxidant properties, it improves skin elasticity and strengthens the bones. We have many different varieties of grapes that are available throughout the year, thanks to combined production in the Southern and Northern Hemispheres.